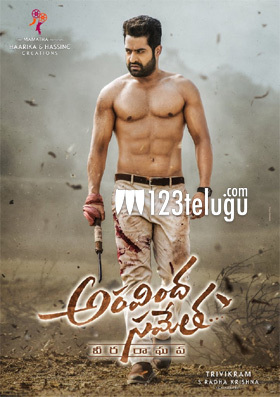 Whenever there is an NTR film coming up, there is a massive buzz all over. The shooting of his latest film, Aravinda Sameta is currently on and the pre-release business has already started in full swing. As the film is releasing in October, distributors have started enquiring about the various area wise rights of the film. The talk is that the makers are predicting a pre-release business of close to 70 to 75 crores in just the two Telugu states alone. With Trivikram having a good craze in the US, the overseas rights will also be high. But with Trivikram giving a flop in the form of Agnyathavaasi, there is also a fear that the film might be sold for a lesser rate than quoted in certain areas. Whatever might be the reason, NTR’s lean look and the buzz for the film is in full flow creating a happy atmosphere for the makers.